In 2007, the Cornell Hip Hop Collection was established through a foundation gift from Johan Kugelberg, who donated his collection of materials that he’d gathered for the 2005/2006 traveling exhibition “Born in the Bronx – A Visual Record of the Early Days of Hip Hop” and the 2007 Rizzoli publication of the same name. Now, the show has opened at Boo Hooray in NYC. The archive was announced at a Cornell-hosted global hip hop symposium in 2008. In the years since, the Cornell Hip Hop Collection has grown to be the largest archive of historical hip hop materials in the world, spanning over four decades and over 200,000 objects including artwork, sound recordings, ephemera, posters, flyers, clothing, and photography. 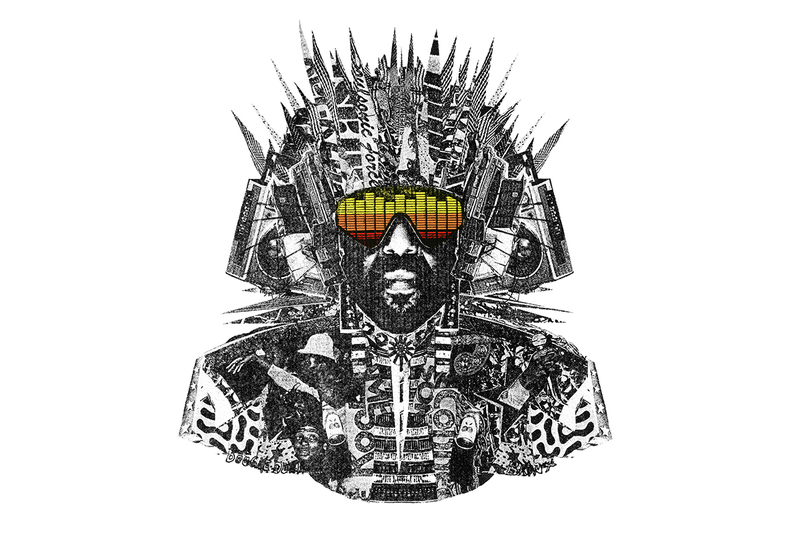 Paul Insect's great signed silkscreened portrait of Afrika Bambaataa is in the Boo Hooray webshop.